With more than 30 years’ experience within the education sector, we have designed, deployed and supported multiple communications solutions to meet the ever-changing needs of students, staff and parents. In fact, 13% of our customer base is made up education sector organisations. 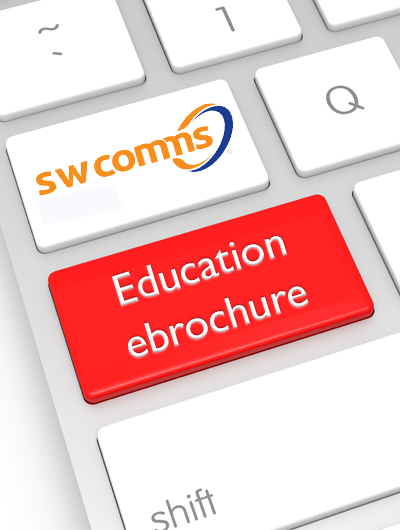 Our first education solutions involved telephone systems and call routing for schools, colleges and universities. The evolution of the internet has had a considerable impact on their requirements and has advanced our offering to include enhanced features and multi-site configurations that make full use of cloud-hosted and VoIP solutions. With the education sector more reliant on connectivity to provide access to the internet as well as internal data networks and Wi-Fi that are the backbone of your learning environment, the requirement for protection and monitoring has increased. We supply a range of technologies including web and content filtering that is so critical to protect your students, staff and reputation. Whether you are a state or independent primary or secondary school, academy, college, part of a federation or multi-academy trust, or even a university, we have a choice of communications solutions that will improve the way you run your organisation, will enhance your students’ experience and will make it easier for parents and other parties to stay in touch with you. We would welcome the opportunity to speak to you school with any projects or challenges you may be facing, so please do not hesitate to contact us.